Detail of Booth’s poverty map: 59 Bethwin Road ringed in blue. © LSE. The northern boundary of this group of streets so vividly described in Booth’s survey and coloured the darkest blue on the accompanying ‘poverty map’, was Avenue Road, Walworth, later to be renamed Bethwin Road. Prominent on Avenue Road and built just over 20 years earlier was the vicarage of the parish that served this impoverished district, St Michael and All the Angels. This was the building that nearly 100 years after Booth wrote those words, would become the first proper home and treatment centre of Kairos Community Trust. The census of 1881 does not list the detailed occupants of number 59 , then called the ‘clergy house’ but the commercial Kelly’s directory lists three clergymen, a small number for what was a substantial dwelling of 17 rooms in a densely populated but thriving Victorian enclave. 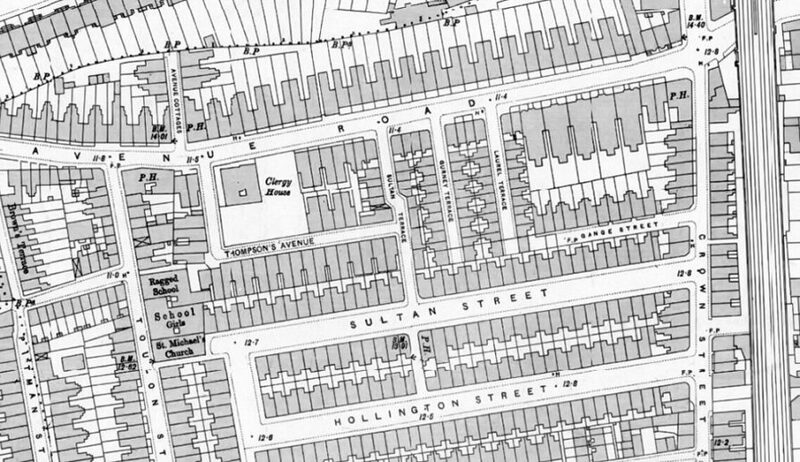 The census does though reveal incredible detail of the occupants of the neighbouring houses and streets such as Toulon Street, Sultan Street and Avenue Cottages including three pubs within a few hundred yards. The houses were typically overcrowded, with the census often showing three families per house in Avenue Road and the cottages opening off it. The majority were classed as what would be called semi- or unskilled with frequent occurrence of painters, cabinet-makers and all the building trades as well as charwomen, seamstresses and servants, brewer and ‘potmen’. Their origins or places of birth listed in 1881 are remarkably parochial for a part of London that was reportedly dominated by Irish immigrants, many being born within the borough of Camberwell or nearby Walworth (the current London Borough of Southwark being formed later in the 20th century). 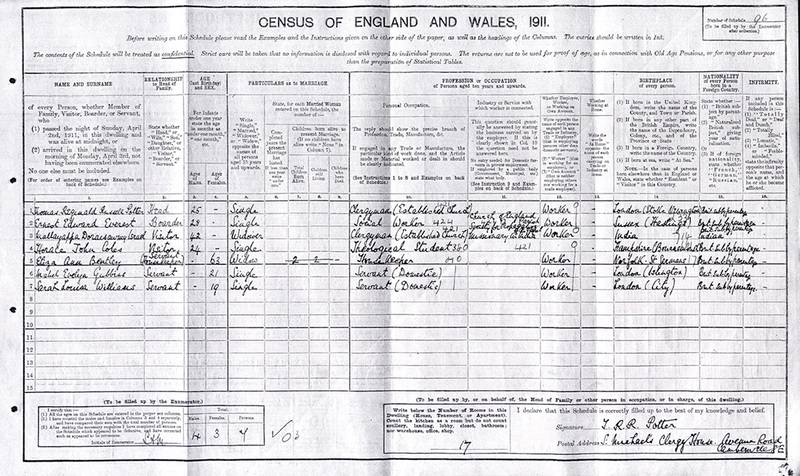 This census record (above) from the 1911 Census conducted on 2 April, the last for which detailed information is available (and the last before the First World War), shows that the large house is still relatively under-occupied with the Reverend Thomas Potter, aged 25 the sole clergyman along with a ‘social worker’, a visiting missionary from India and a theological student. A housekeeper and two maids completed the household. 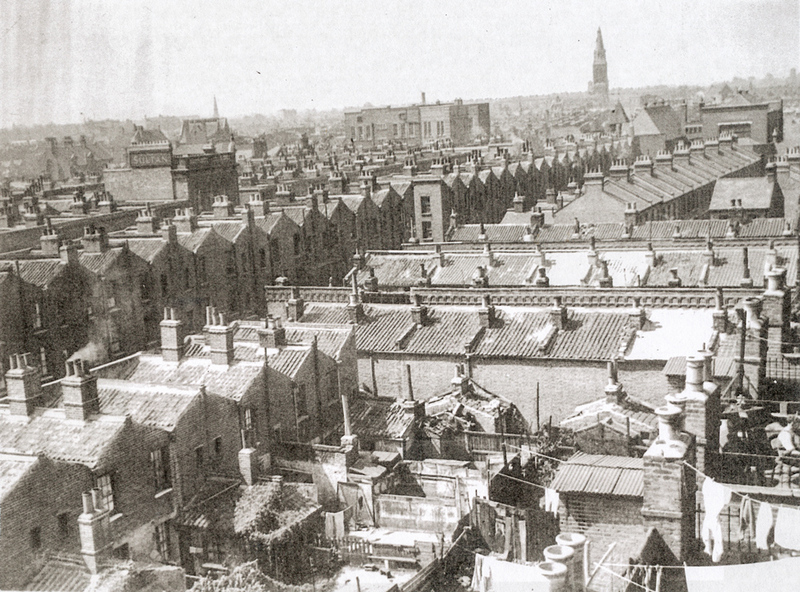 Although Booth described the appalling conditions at the turn of the century it was not until the mid-1930s that the whole area was officially condemned as slums, and photographs show the conditions around the church and vicarage of Avenue Road which was renamed Bethwin Road, after a local farm, in 1936 as part of the clearance. 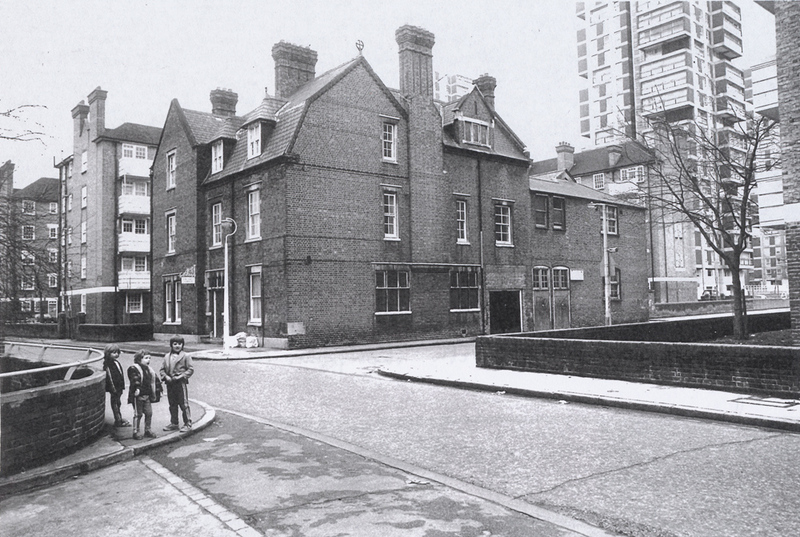 The Church had already given Kairos a helping hand in providing the first premises for the Kilburn Night Shelter which moved to three disused houses in Stonhouse Street a stones throw from Clapham Common tube. It was here that Fr John Kitchen, along with a core of volunteers who would become lifelong workers and supporters of Kairos, engaged in a range of services for the local homeless community, with accommodation for four people, a kitchen and dining room for drop-in homeless people and, eventually, the first Kairos shop. The Second World War bombing contributed to much wider destruction of the local area although 59 was undamaged. Post-war reconstruction would eventually lead to building of the towers of the Brandon Estate to the north from 1958 and the even taller Wyndham Estate to the south in the 1960s. Bethwin Road in the 1970s (© London Borough of Southwark). The impact on the Church and its activities was considerable, the parish became amalgamated, the original church was demolished in 1972 and eventually with just 51 attending parishioners, was absorbed into the local secondary school, sharing the school gym for Sunday worship. It was in these circumstances in 1997 that the vicarage, by now too large and expensive to maintain became available for Kairos to purchase. The end of the Church of England’s association with number 59 was not insignificant in church history however, the outgoing Vicar the Rev Pat Vowles becoming the first woman priest in the diocese of Southwark in 1994, who also continued her support for Kairos in subsequent years. However, with the inroads into regular daily care and support for a core of homeless people using Stonhouse Street, ambitions were growing that could only really be developed elsewhere. When the Church made the decision to sell the Stonhouse Street houses they again came to the rescue, alerting Kairos to the availability of the now redundant vicarage at 59. By this time it had become an unofficial if amiable squat, and the original coach house had become home to the Blue Elephant Theatre who’s director was installed in the house. 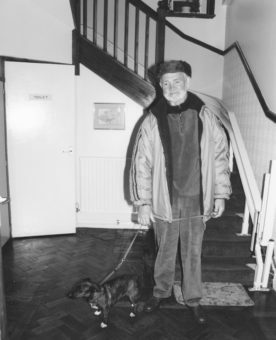 With the assistance of a grant from the National Lottery Kairos finally purchased the building outright and the first manager, Mossie Lyons and four volunteers moved in in October 1997. After objections had been lodged against Kairos using the house as a treatment centre, many local people were won over at a lively public meeting and Kairos was finally able to occupy the whole house and operations could commence with relatively few changes required. 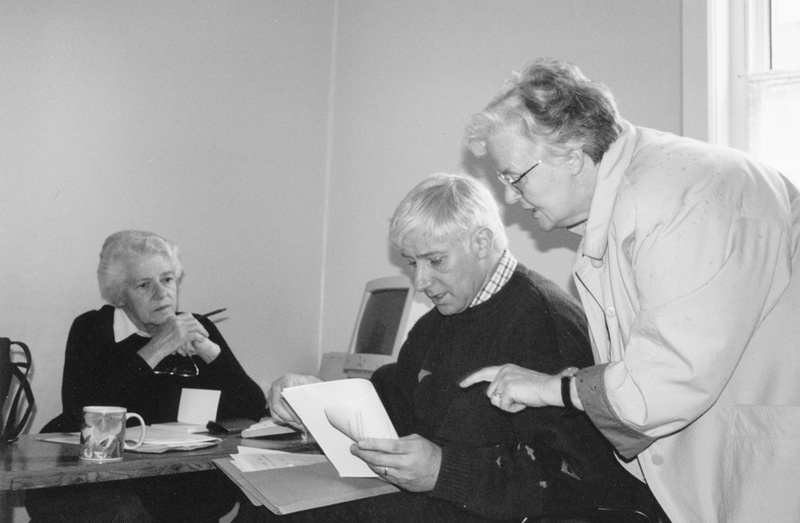 Mossie Lyons, the first manager of Kairos Bethwin Road, with bookkeeper Rosemary Noble (left) and another volunteer. With openness, trust and wellbeing being central to the purpose of the building, the large single front door, the spacious groundfloor meeting room, dining room and kitchen needed little alteration. All these rooms were centred around the imposing staircase leading to the shared bedrooms, another distinguishing feature of the house when most centres were graduating towards the privacy of single and en-suite rooms. 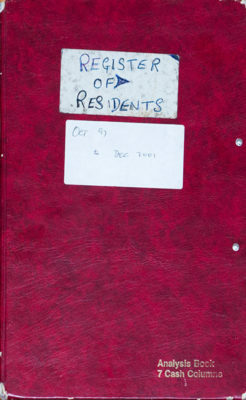 Food, cooked daily by and for the residents was a key part of Bethwin from the start. Weekly 12-Step visitors: Brian and Rosie. 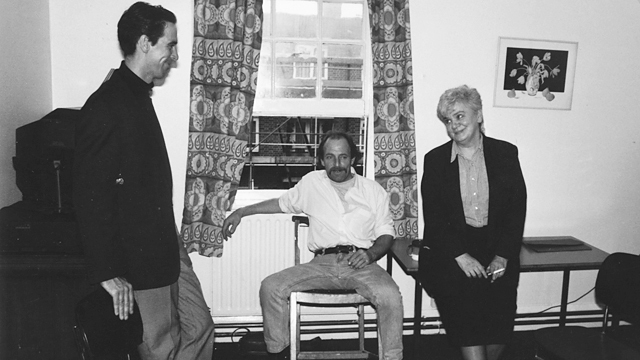 Jim Finn and Sally Martin with a resident at Bethwin Road. From the outset treatment at Bethwin Road was explicitly committed to the 12-step programme of AA. Established at the foundation of Alcoholics Anonymous in 1935, the ‘steps’ offered a unique approach to achieving and maintaining sobriety. The aim at Bethwin was and still is for residents to reach Step 3 of the programme within 12 weeks and required attendance at a minimum of three AA meetings a week. This would be achieved using group therapy, handwritten step-work and regular one-to-ones with experienced counsellors who had completed the steps themselves. A weekly in-house AA meeting was established (and later Narcotics Anonymous monthly) to run independently of the Kairos programme on AA terms. “The house was built to be a base for ministry in very tough part of Victorian London. Charles Booth’s survey of the ‘life and labour of the people of London’ described much of the Southwark diocese as ‘the largest area of unbroken poverty in any city in the world’. This part of Camberwell particularly was an area that was a massive social challenge to Christians and there were several projects set up in the area. Special thanks to the staff of Southwark Local History Library and Rev Stephen Roberts, Steve Grindlay and current and former Kairos staff for additional information.